Three words that changed my day. 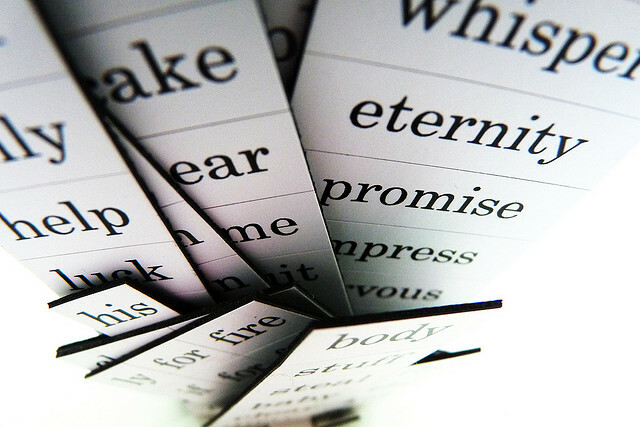 The power of words is limitless. I received three words today that changed my day. In fact, they gave me food for thought and I ‘ve been unable to reply or react as yet. All I can disclose is that they were the last and profoundly sad words used in the sign-off. These words left me speechless. After having read them, my day unravelled in a cloud of confusion and doubt. Those three seemingly harmless words stung, making my heart sink. Words are powerful weapons and we often underestimate their strength when we ourselves, often carelessly, type them out and click send. This is why, I often give certain e-mails some time before I click “open” or “send,”waiting for the “right’ time. If that “right,” time really exists. But by this I mean, a time when you are free to further explore the meaning, feelings around it that it may arouse, and are not in a crowded environment such as work where you might break out either in rage or tears. Words are swords that can cut through your heart either to enrich and expand it or to break you in a million pieces. Childhood snapshots and the place we call home. If today sucked, there is always the hope of a better tomorrow.